Jamie Oram, Harriet Perring, Iain Stuart Robertson et al. Ploey is a plucky little plover chick who can't fly. Join him on a heart-warming adventure, as he learns the importance of friendship and the value of having faith in your own abilities. 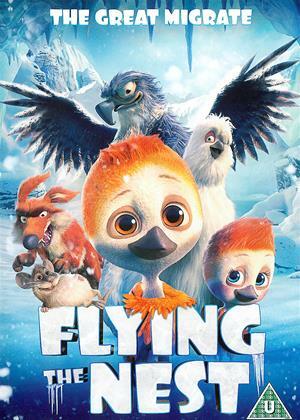 When Ploey is left alone, abandoned and unable to fly after his family migrate across the ocean for winter, he is forced to embark on a journey where he must use his informidable character and rely on the help of newly-found friends to make it through the arctic winter and be reunited with his loved ones once more. Inspired by 'Happy Feet', 'Flying the Nes't is a touching tale of a how far little bird will go to achieve the impossible.